These are the seven (yes, seven!) ways most of us are damaging our skin during a wash. I care a lot about my skin—I have a very intricate skincare routine that I complete every morning and most nights. However, against all advice, I sometimes fall asleep with my makeup on. That, we know, is a no-no. But is it possible that even when I wash my face on schedule that I'm still doing something wrong? You should be washing your skin (face and body) twice daily at most. The best times are in the morning when you wake up, and in the evening before you go to sleep. If you're very active or require more frequent cleaning, keep the washing short, with minimal soap. Each time you expose your skin to water and cleansers, your own natural hydrating oils are stripped. Parched skin looks duller and shows more fine lines and wrinkles. 2. You are spending too much time scrubbing. Washing your face should be quick—like under two minutes. Don't spend all day applying the cleanser, or washing it off, and definitely don't let it sit on your face. 3. You are using the wrong cleanser. Buy a face wash that tends to the specific needs of your skin. If you have sensitive skin, you should use cleansers, not soaps, when washing. 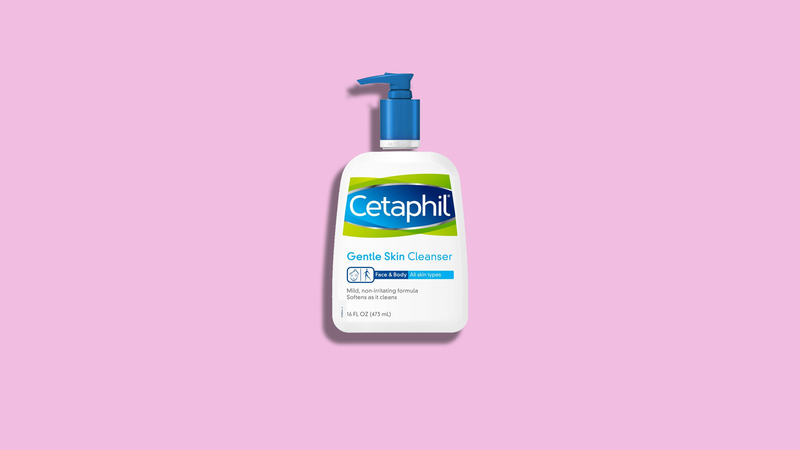 Gentle non-foaming cleansers like Cetaphil, Cerave, and Dove are great options. Never exfoliate if your skin seems dry or red—especially during the winter. Limit the exfoliating cleansers to a once-a-week. 5. The water you are using is way too hot. Your skin is delicate, so using super hot water will shock it. Not only does hot water remove the calming natural oils your skin produces, but it will also cause blood vessels in your face to dilate, creating more redness. Keep the water temperature lukewarm and your skin will look and feel better..
6. You are using facial wipes incorrectly. 7. Your wash cloth needs washing. It's important to use a clean cloth every time. An unwashed cloth can harbor bacteria, and if left damp, can even transfer fungus to your face. Keep a stack of clean towels available and toss into the laundry after every use. Follow Hallie Gould on Twitter and Instagram for more beauty-related goodness.